Simply turn handle to lock plug in tube or to remove. Shaft, T-handle and washers are saltwater corr.. Boats with self-bailing cockpits. Combination of plastic and rubber washers with flap designed to ac.. The Scupper Flap is tough neoprene rubber with a molded V that fits into the grooved body to reduce .. Features stainless steel construction. Simply snap handle down to lock plug in tube, raise handle to.. 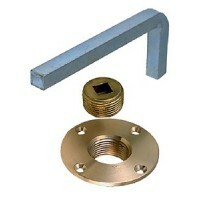 The popular 3876 scupper mounted to a 3875B 1-1/2" thru-hull as a complete assembly. 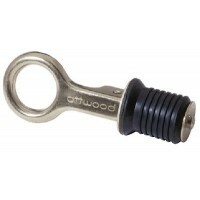 Made of high-im..
A screw-type with patented self-cleaning thread design. 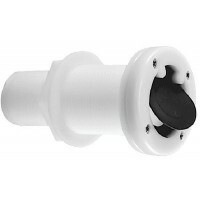 Ideal installation for transom of small boat..
Replacemnt flap valve 05101110 Fits: Replacement flapper valve..
For mounting from inside transom. 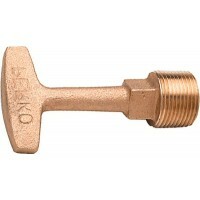 Fully adjustable, creates waterproof seal and will not leak or jar..
Special alloy. Flanged 90° one end. Functions as drain for transom, motor well, livewell or baitwell.. Feature plugs in attractive handy 4-color countertop display carton. Popular boat accessory. 48 piec.. 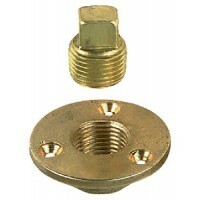 Drain plug set-auto flapper Fits: 1" standard drains to 2-1/4" thick transoms.. 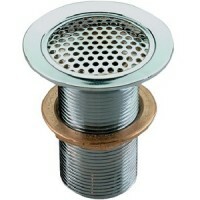 Designed for aluminum boats as a 1" drain for transom, livewell or baitwell. Easily flanged, fitting..
020303: Has 3 recessed to holes for flush fit to boat's transom or exterior, allowing water to drain..
Tool-flanging for #07275 kit Description: Flange tool.. 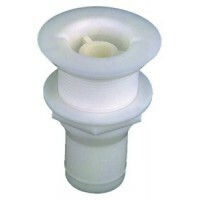 Drain tube-motorwell Hole: 1"Size: 11/16" ID x 3/4" L - 2-1/2" L..
For mounting only from inside transom. 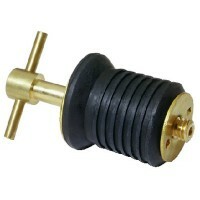 Fast-working, cam-action plug adjusts to provide tightest pos..
For livewells or baitwells. Cam-action plug snaps into leak-proof, non-slip position. Various sizes .. Designed for use with Snap-Tite, Turn-Tite and Trail'n Bail plugs. 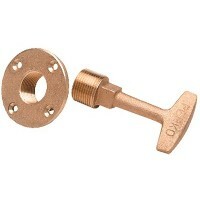 Includes required flanges for dra..